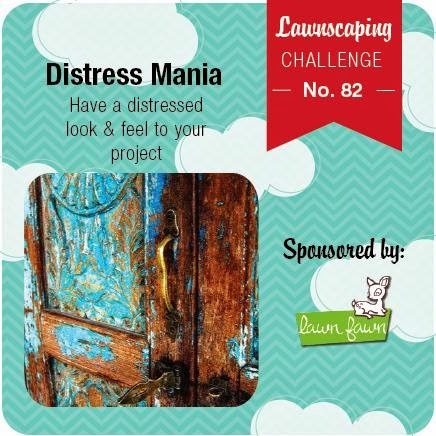 The current Lawnscaping Challenge is 'Distress'. I created the evening sky look by blending Distress Ink in "Chipped Sapphire", "Tumbled Glass", and "Peacock Feathers". I very lightly misted it with water to get more texture in the sky. I also lightly distressed the teal background paper to be darker. TIP: To keep the stork one layer, I created a stamped mask with a post it note, fussy cut it, and placed it over the stamped stork in the sky. This way I could blend the inks around the page without getting any unwanted color on my stork. 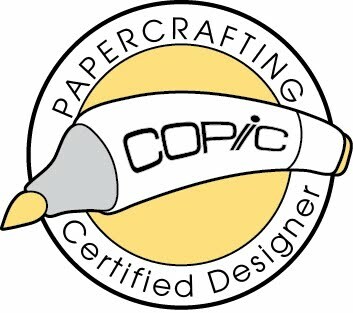 I finished it off with some Crystal Stickles, the die cut "Say Cheese" by Lawn Fawn, and the perfect pattern paper from Lawn Fawn's "Hello Sunshine" collection. One last card for today! 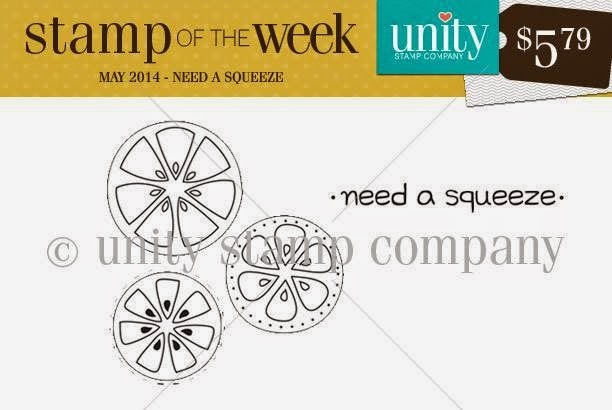 Unity Stamps have a new Stamp of the Week called "Need a Squeeze". I am loving citrus colors this season so I had to join in the fun. The colors in this card just happen to be my wedding colors, and I didn't even plan it! The stamp was colored with Copic markers, die cut, and added on the card with some Icicle Stickles. Pattern paper is from Basic Grey "Fresh Cut" pad and the sequins are from Lawn Fawn "Hello Sunshine" collection. Have a lovely and safe Memorial Day weekend! I adore that stork card! Such a pretty shade of blue and I love the little bits of bling. It feels magical! Thanks for playing with us at Lawnscaping! Love your cards!! The "Need a Squeeze" stamp is adorable and I love how you colored the circles! These are such adorable cards Rachel!! 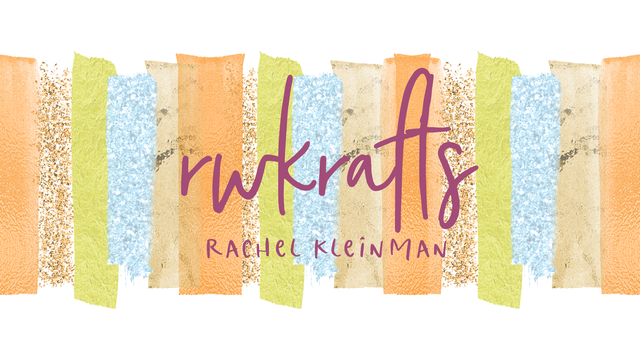 I LOVE using Distress inks for backgrounds! Congrats to your brother!!! Thanks for your visit and sweet words during the Unity blog hop!! Wonderful cards! I really love your baby card with the various shades of blue & some sparkle! Very sweet baby card and I love that bright stamp of the week card! The colors are FAB!! Unity Thursday - 20k Celebration!